photo-eye Gallery New Work: Mitch Dobrowner photo-eye Gallery is thrilled to debut two new works by prominent landscape photographer and represented artist Mitch Dobrowner. I can only describe Shiprock and the area surrounding it as the most spiritual and serene landscapes on the planet (to me). The formation is a volcanic plug that rises 1,600 feet above a barren desert plain south of the San Juan River. 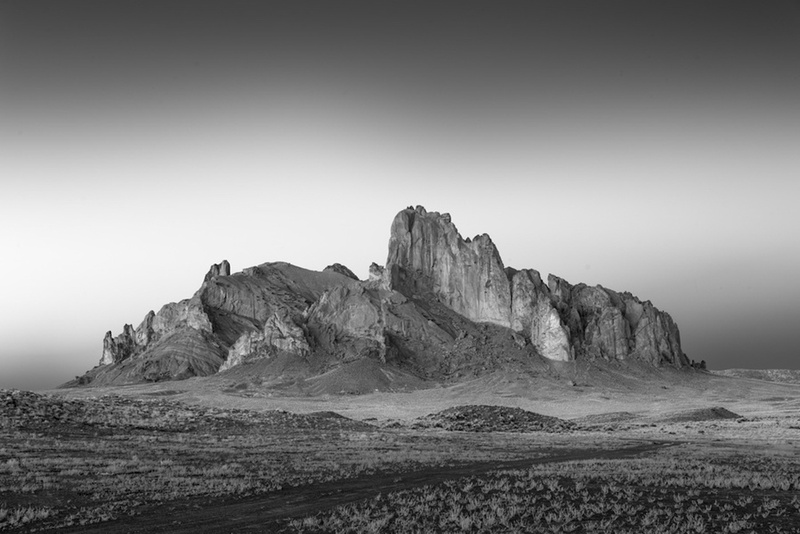 Shiprock is called Tsé Bitʼaʼí in Navajo, which means "rock with wings" or simply "winged rock." The formation figures prominently in Navajo Indian mythology as a giant bird that carried the Navajo from the cold northlands to the Four Corners region. 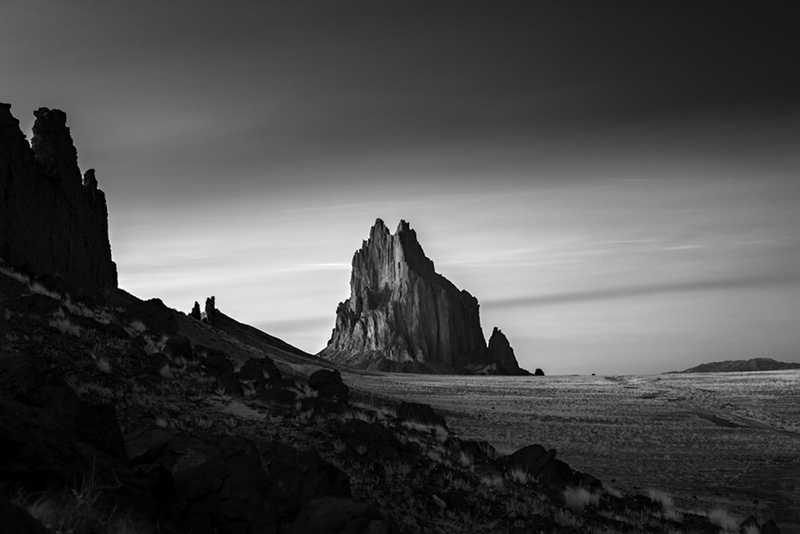 Shiprock, when viewed from certain angles, resembles a large sitting bird with folded wings; the north and south summits are the tops of the wings. While taking these images I was alone, not a person within sight. It was quiet and I was in awe of what I felt and what I was looking at. Shiprock is a sacred mountain to the Navajo Nation. Unlike previous releases from Dobrowner, the 14 x 20" and 20 x 30" prints for Shiprock, 2018 and Volcano and Skeleton are not available in a collective edition but their own discrete editions of 15 and 25 respectively. At the time of this publication, both prints are available at their introductory price for all editions, and prices will increase as the edition sells. If you have questions, or would like to purchase prints in the first price tier, please contact photo-eye Gallery Staff at 505-988-5152 x 202 or gallery@photoeye.com.